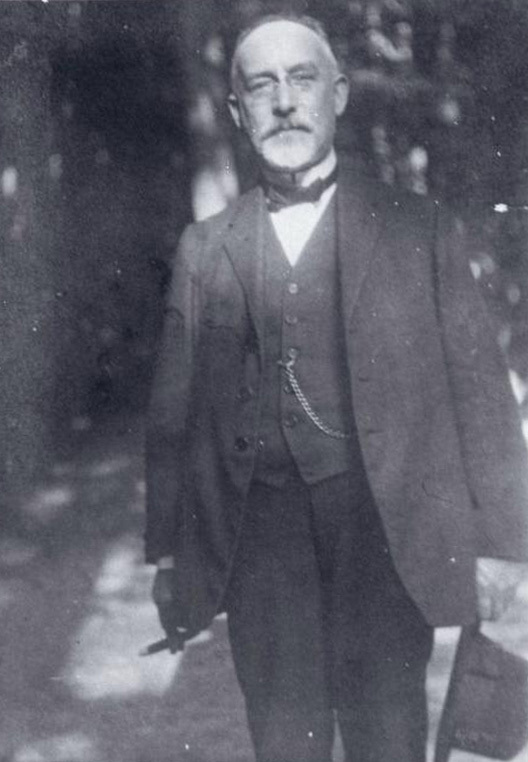 Curator Aron Freimann built the Judaica collection at the Frankfurt library to 15,000 volumes between 1898 and 1932. Dismissed from his post after the Nazis' rise to power, he emigrated to New York. Projects underway at Leo Baeck Institute and the Goethe University Library in Frankfurt could give scholars access to a landmark collection of Judaica that was long believed to be permanently fragmented by World War II. Led by head Librarian Renate Evers, a team of researchers at LBI have painstakingly cross-referenced a list of works missing from the Frankfurt Library’s 1932 catalogue of “Science of Judaism” titles with LBI holdings. They identified copies of most of the lost titles in the LBI library, collected over decades through private donations by German-Jewish refugees in New York. (Learn more about the biographies of some of these donors in this recent New York Times article). In the wake of emancipation, Jewish scholars in 19th century Germany began to investigate the history and culture of Judaism from a scientific perspective, replacing theological exegesis with the tools of history, archeology, and sociology. This new discipline, known as Science of Judaism (Wissenschaft des Judentums), laid the foundations for modern Jewish Studies and have became a standard component of rabbinical education. The philosopher Hermann Cohen authored this expert testimony for an 1886 trial in which Jews in Marburg sued a local teacher for defamation. Cohen's treatise examines the concept of charity in the Talmud. 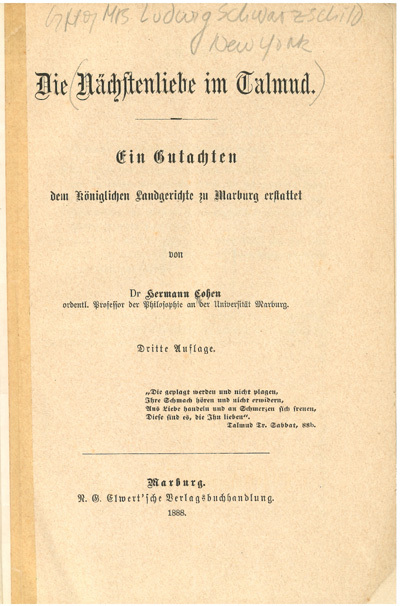 Most of the 15,000 volumes Freimann catalogued in 1932 survived, ironically, because they were confiscated by the Nazis for the establishment of an “Institute for the Study of the Jewish Question.” About 2,000 of the works were lost in the chaos of World War II, however, as valuable collections were moved outside the city for safekeeping. Reintegrated into the Frankfurt library after the War, the collection is once again among the most important collections of Judaica in the world, thanks to a comprehensive acquisition policy. The pioneering partnership between LBI and the Frankfurt library offers hope of restoring the foundation of this great collection and points the way for libraries of the future.